Well, good looking for Ugly Aircraft Inc.!! Eyup, you've still got that Ugly Aircraft Magic Touch. Looks approximately MS.406-ish, I think. A nice cute little fighter. More drawings, this time of the Fokker D.XXV. A blend of Avia and Fokker and Focke Wulf styling with a hint of La-5/ Soviet engine-mounted cannon layout. Looks pretty cool. It'd almost be worth drawing it in a larger size so you could admire the details. One question. I thought the Dutch didn't use that Czech-inspired "Pie Graph" roundel until a bit more recently, and only used the orange triangle in this era. Am I mistaken in that? Good question Brock. It seems the roundel was in use pre-war for the Dutch aircraft, but the orange triangle was the standard marking of the Dutch East Indies Army aircraft along with orange rudders. Both were entirely separate arms. In Wesworld the orange triangle on its side marks a squadron leaders aircraft and the roundel is standard (indeed all aerial forces are part of a unified Royal Netherlands Air Force). The Fokker G-3 and G-3A nightfighters. My first draft impressions on the first jet-propelled aircraft of the Netherlands. I'm open to opinions and suggestions. They use SAE jet data from Hoo and are roughly contemporary with real world designs and are based firmly on existing airframe technology. The in-service dates might be slightly optimistic but service entry would most likely be to training units etc. and deliveries are dependant on supplies from SAE. An experimental jet-powered variant based on a standard D.XXIIIE airframe. The engine was obtained from the SAE, a VB.03/ Rayton Swazi rated at 3,000lbs thrust. This was mounted in the rear fuselage with two lateral intakes in the inner wing roots. Both piston engines were removed and a new streamlined nosecone fitted. The tailbooms were strengthened and the tailplane moved to the tips of the tailfins to clear the exhaust. A pressurised cockpit was fitted too. The second D.XXIIIE prototype was rebuilt from December 1944 and made its first flight with a pre-production VB.03 engine rated at 2,800lbs on 17 May 1945. It was re-engined with an early production Rayton Swazi engine in December. Flight testing continued until August 1946. During 1945, based on experiences with the experimental D.XXIIIS, Fokker began designing a new purpose-designed jet-powered fighter for the Royal Netherlands Air Force. In overall layout it resembled the British de Havilland Vampire and was powered by a 3,000lb Rayton Swazi centrifugal turbojet engine. The first of six prototypes first flew on 14 August 1946 and the pre-production batch was built during mid-1947 before production began of the definitive version with a pressurised cockpit equipped with a Danish ejector seat. 250 were ordered in early 1946. As the Royal Netherlands Air Force began looking at jet-powered fighters, it also saw the need to experiment with high-speed jet-powered fast bombers. Koolhoven took their F.K. 61 and simply removed the piston engines and fitted two 3,000lb Rayton Swazi centrifugal turbojets in revised nacelles. A production airframe was converted in September 1945 and made its first flight on 29 December as the F.K.61S. A series of eight pre-production aircraft designated F.K.62 followed from February 1946. These differed in having a new tail unit with more dihedral on the tailplanes and more streamlined nose. The new main undercarriage retracted into the inner wingroots. The two crewmen were seated on Danish ejector seats, the navigator/ bomb-aimer sitting in the nose. Production of 135 F.K.62s began in September 1946. 36 were completed as F.K.62R high-altitude reconnaissance aircraft with five cameras fitted in the former bomb bay. The D.XXIIIS looks rather like the OTL Saab J21R, so taking that as an exemplar, I find that the D.XXIIIS is heavier by half a ton, has slightly less engine power, yet is a tad faster, with superior ceiling and a somewhat greater range. Perhaps some minor adjustment to performance to bring it in line with the J21R would be worth considering. Beyond that, the concept appears reasonable. The D.XXVIII's stats look reasonable enough, but I really have to wonder if the development cycle of proposed for it allows for sufficient experience with the D.XXIIIS to know what is necessary. As to the design, looks good to me. The F.K.62 is problematic for me, if only because I have doubts about the viability of taking an airframe designed for piston engines (and piston speeds) and merely slapping a couple of jet engines on it. The Russians tried that with a number of designs and the results were of doubtful utility (the Tupolev Tu-12 comes to mind). I won't say it cannot be done, but I'd like to know more about the design history. Yes, the XXIIIS is based on the OTL Saab J21R in spirit though I didn't actually look at the specs when I wrote this! So I'm glad I got close. I'll edit the range and ceiling. The XXVIII is basically a Vampire rip-off but in all-metal. I agree the timings are close. The problem is the Netherlands can see Britain and Germany and now France with operational jets and newer models in development. SAE jet tech is perhaps slightly behind the curve and this design will morph into a DH Venom clone by 1950, by which time it'll make a fine fighter. There is urgency to get a jet fighter and so development is on priority. Also, I'm not sure how much the XXIIIS will contribute, most piston conversions in OTL only proved they were bad idea and I'd like to think having built the excellent basic D.XXIII series that Fokker has the aerodynamic know-how to develop the Vampire-esque airframe. Jets pose problems but SAE testbeds are airborne now and one hopes some design data comes with those engines. However, I might push the dates back ~6 months. The F.K.61 is based on the never-built DH.102 'Super Mosquito'. When the DH.102 was designed there were brief sketch plans for a jet powered version. No specs have ever been found, only the plan. So my design takes that other approach and brings it to life, specs are a mash-up of Ar 234 and reduced Canberra/ early Westland design version before Petter moved to EE. Early jet bombers generally are tricky, they were either; a) small twin-engine types with limited payload and range, b) four engine small mediums (B-45), c) big multi engine. I don't think of the first generation jet bombers were any good, the second gen Canberra and Il-28 were good but needed 6,000lb+ engines to work well. So the FK.62 is basically an early attempt to increase bomber speed and is a compromise. It'll work but it won't be great, I might degrade the specs a little more. Perhaps in 1950 Koolhoven will work on a proper Canberra clone? I agree with you whole-heartedly on the question of first-generation jet bombers - the designs that emerged were either very light on their ordnance loads or were rather klunky agglomerations of engine nacelles. Even some of the more aerodynamic "paper napkin" designs you'll find at Luftwaffe '46 have engines hung on some very odd places, or they are limited to 1,000 kg for 1,000 km. The problem is engines. I've deliberately slowed the development of the BMW003 engine though it will begin to make its appearance in late 45/early 46 - starting at about 3,000 pounds of thrust and scaling up from there rather quickly - the basic design has a lot of development potential. At some point I may release some "sketch designs" of things the airframe manufacturers are proposing but it will be 1947-48 before any metal - if any at all - would be cut on them. A single-seat low-wing monoplane of mixed construction of conventional configuration. It has a fixed tricycle undercarriage and the pilot is seated under a bubble canopy. The prototype made its maiden flight on 11 July 1947 and production began during 1948. The prototype was powered by a 190hp Walter Major 6 engine, but production aircraft received a more powerful Argus 410. The all-metal construction X-02 variant is now in design. A basic trainer with a low monoplane wing and of mixed construction. The undercarriage is fixed and the pupil and instructor sit in tandem. 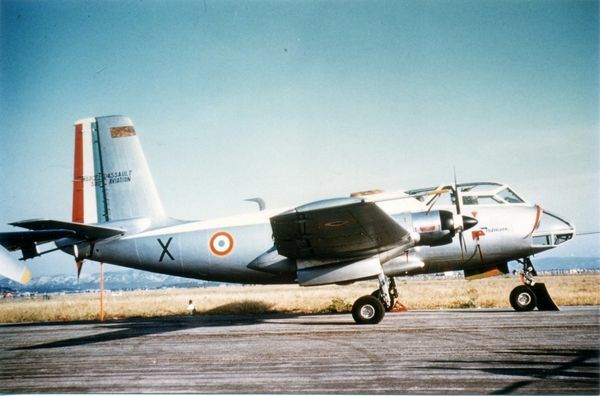 The prototype first flew on 28 February 1948 and production of the Belalang 90 began in December. A development of the S.XI Instructor first flown in May 1948 powered by a 260hp Minerva-Avia Minion Minor piston engine with a maximum speed of 265 km/h (164 mph). First deliveries were made in December 1948. As the Royal Netherlands Air Force began looking at jet-powered fighters, it also saw the need to experiment with high-speed jet-powered fast bombers. Koolhoven took their F.K. 61 and simply removed the piston engines and fitted two 3,000lb Rayton Swazi centrifugal turbojets in revised nacelles. A production airframe was converted in September 1945 and made its first flight on 29 December 1946 as the F.K.61S. A series of eight pre-production aircraft designated F.K.62 followed from February 1947. These differed in having a new tail unit with more dihedral on the tailplanes and more streamlined nose. The new main undercarriage retracted into the inner wingroots. The two crewmen were seated on Danish ejector seats, the navigator/ bomb-aimer sitting in the nose. Production aircraft were powered by two 4,200lb VB.04 Stuart Zulu centrifugal turbojets. Production of 135 F.K.62s began in January 1948. 36 were completed as F.K.62R high-altitude reconnaissance aircraft with five cameras fitted in the former bomb bay. Founded in August 1948 to foster research and development of Dutch helicopters. This initiative was launched with the support of the NLL, NIV and RSL. Founded in May 1946 by Wiweko Soepono, Nurtanio Pringgoadisurjo, and J. Sumarsono in a workshop in Magetan, near Madiun, DEI. The company designs and builds gliders. Something new being worked on by Koolhoven and which should fly in early 1949. This is inspired by the Sud Est SE.117 Volttigeur, and the experiences of the Ubangi-Shari conflict. In 1948 the Luchtmacht raised a requirement for an overseas ground support aircraft capable of fulfilling counter-insurgency, observation and ground attack roles. The requirements drew on the lessons from operations in Ubangi-Shari. The aircraft was to be twin-engined, able to loiter at low altitude for five hours, operate from rough strips and carry six paratroopers. Armament would be fixed cannon, bombs and rockets. Koolhoven responded with the F.K.65 which was chosen for development. The twin-engined low-wing aircraft carried an observer/bombardier in a glazed nose compartment with the pilot in a cockpit behind, both protected by armour plating. The rear fuselage could carry six paratroopers or light freight and there was a door in the lower port-side of the fuselage. The fixed armament was fitted in two lower fuselage blister packs. A rugged tricycle undercarriage was used and the engine nacelles were also armoured. The first of two prototypes first flew on 21 January 1949 and production began that summer, the first aircraft entering service in January 1950. 115 were ordered. This is a variant of the basic D.XXVIII jet fighter design developed for the Royal Netherlands Air Force East Indies Command (KLNI). The main differences are; stronger undercarriage, improved cockpit air conditioning, greater generator capacity, hardpoints capable of carrying up to 500kg each and a more powerful 3,500lb Swazi 4 turbojet. 115 were ordered in July 1948 and deliveries began in September 1949. This is a variant of the F.K.62 jet bomber equipped as an high-altitude reconnaissance aircraft with five cameras fitted in the former bomb bay. 36 will be built. The S.27 was designed as a purpose-built anti-submarine aircraft with a secondary role of torpedo strike to replace the Koolhoven F.K.59 and also be capable of use aboard aircraft carriers. The four-seat aircraft was developed to be as compact as possible. The internal torpedo bay was capable of carrying two heavy or two lightweight torpedoes or four depth-charges. Six underwing hardpoints could carry rocket pods, depth charges or up to four additional torpedoes. A ventrally mounted retractable radome for Phillips AS-3 RDF and a tail mounted Magnetic Anomaly Detector (MAD) were fitted. A 70 million candlepower searchlight was mounted on the starboard wing. 60 explosive charges dispensed ventrally were used with the Phillips ADS-1 detection set. Smoke floats and marine markers could also be carried. Two prototypes and 15 production aircraft were ordered on 30 June 1947 and the first prototype made its maiden flight on 4 December 1949. The first production aircraft will enter service in early 1951. Armament: total of 2,200 kg (4,800 lb) carried in the internal bomb bay and six underwing hardpoints comprising, torpedoes, depth-charges, bombs, mines or 75mm and 120mm rocket pods. Single-seat all-weather fighter. Phillips RDF set in the nose. First flight of first prototype 22 December 1949. A variant of the basic NU-240 light patrol/attack aircraft but with all-metal construction. The prototype flew during 1949 and will enter production in 1950. During 1949 the Luchmacht will also take delivery of 24 SH.40 Tourbillon helicopters during 1949 to form at least one operational squadron and a training unit. No final decision has yet been reached on an order for the smaller scouting helicopter.